In this powerful and engaging new crime drama from Imagine Television the producers of 24, Tim Roth stars as Dr. Cal Lightman, a deception expert whose uncanny ability to read a facial expressions and body language makes him a virtual human polygraph. Joined by psychologist Dr. Gillian Foster, Lightman tackles compelling cases of sabotage, scandal and murder, always uncovering the one thing that matters most - the truth. Special Featur.. Entering its intriguing second season Lie To Me is the compelling drama series inspired by the scientific discoveries of a real-life psychologist who can read clues embedded in the human face, body and voice to expose the truth and lies in criminal investigations. Dr. Cal Lightman (Tim Roth) is the world's leading deception expert. If you lie to Lightman he'll see it in your face and your posture, or hear it in your voice. If you shrug .. Complete your collection with this thrilling and compelling final season of Lie to Me, featuring an all-star cast led by Tim Roth, Kelli Williams, Brendan Hines and Monica Raymund! Dr. Cal Lightman (Roth), the world’s foremost expert on detecting lies and deception, returns as he and his brilliant investigative team take on their most intriguing cases to date, ranging from museum heists and kidnappings to mysterious cults and murder. Fe.. Lie to Me is the compelling drama series inspired by the scientific discoveries of a real life psychologist who can read clues embedded in the human face, body and voice to expose the truth and lies in criminal investigations. 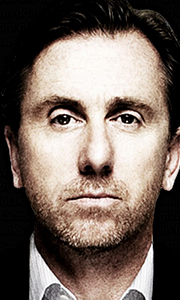 Dr. Cal Lightman (Tim Roth) is the world's leading deception expert. If you lie to Lightman, he'll see it in your face and your posture, or hear it in your voice. If you shrug your shoulder, rotate your hand, or e..